Chrichton's World: Review Un prophète a.k.a. A Prophet (2009): The rise of an underdog on the tax payers' money! Review Un prophète a.k.a. 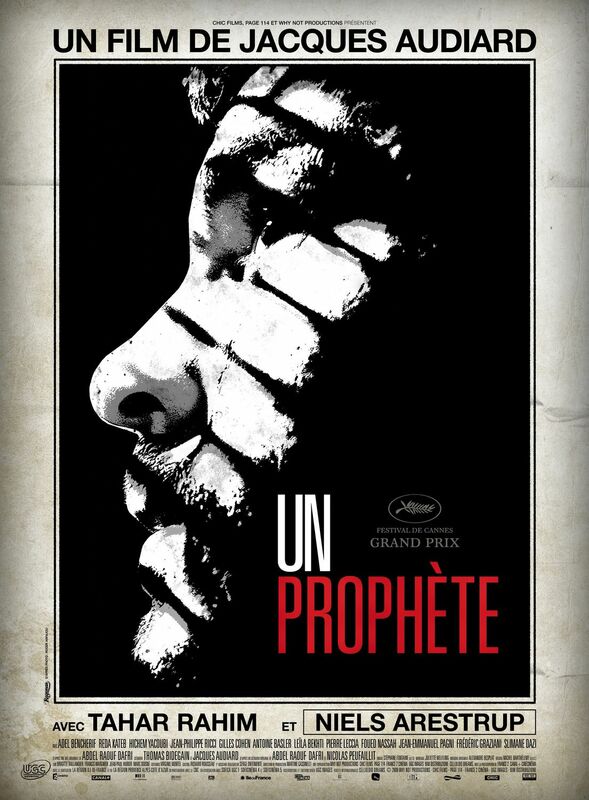 A Prophet (2009): The rise of an underdog on the tax payers' money! Black Mass left a bitter taste and I wanted to check if other praised crime films truly were brilliant as stated or simply just as Black Mass are over hyped and overrated. Which brought me to Un prophète. Fortunately Un prophète is far more deserving of it's praise. Although some major flaws do stand in the way of the viewing experience. I will get into these flaws in a while. Gangster and prison drama's rarely are light and amusing. Often they are harsh and confronting and makes you happy that you aren't in one. This film is no different and even makes you empathize with the main character at the beginning. Over the course of the film this shifts a little. But just because you empathize does not mean you agree or condone this person's actions. Only from how the situation is presented you sort of can understand why someone would choose his path. Malik does not seem to have many options. He is illiterate, not schooled and trained in any field and does not have friends or family. He is young and alone. I found it a little curious that we did not get to learn about the Malik before he got into prison. Very briefly he even said at one point that he was not guilty of the crime he was put in jail for. Naturally the prison ward or guard in charge was not impressed by that since all the criminals claim this. I guess director Jacques Audiard wanted to give the choice to the viewer. I think it does help the perspective significantly. If he truly is innocent then we are witness for the corruption of a young mind and soul that could have contributed to society more productively and legally. Or at least been given the freedom and choice to do so. That is assuming if he would meet the right people and incentives to seize and create his own chances and opportunities. Now this is taken away from him and he needs to survive. If you look it like this then all of of what happens in this film is incredibly tragic. If you choose to believe is already was quite corrupted and never would amount to do any good then it would be tragic also but more so incredible infuriating. Because here we see the making of a big crime boss that otherwise would have remained petty and insignificant. Instead of this guy being punished and helping him to redeem himself prison makes him a bigger problem and threat to society on the tax payer's costs. If that does not make you mad then I don't know what will. So again it is quite curious why we don't know exactly where Malik is coming from. Leaving out his background for me would add a lot more but it's not that big of a flaw that would make me stop watching or anything. However the pacing and some of the events did make it hard to keep watching. The pacing is very slow. And most events are predictable to a tee. Still what kept me going was the desire to see how Malik would become a major player by using what he learned in prison. Let's face it, it's always fascinating to see an underdog become successful on his own merit no matter in what field. But did it really need that much time to get there? I don't think so. Because in the quiet moments not much is said and done. We never truly get to learn of what Malik truly wants. As far I can recall he never has real dialogues about that. I would assume that especially in prison you would have more than enough time for those thoughts. It is hinted that he is psychologically damaged and traumatized. But nothing truly important has been done with it so I wonder why we were shown these hints. Maybe to ensure our empathy. The biggest flaw though is the ending. Don't worry I won't spoil it. But for me it was unsatisfying. I expected so much more and a little more dramatics. Or at least some fireworks between Malik and César Luciani at the end. I mean this all still is fiction and you could at least let the characters express their real emotions even if it was just for the sake of the viewer to give the harsh reality a little humanity. And that is where Black Mass and Un prophete are similar. It lacks emotion and humanity. Both these movies show a world that is distant, cold and ruthless. Un prophète without a doubt is superior to Black Mass but also can't escape the pretentiousness and predictability. It wants us to tell a tale without actually telling enough. The consequence is that it is tasking and even gets boring. I refer to classics The Godfather and Goodfellas. Those movies are both long movies but are never boring. And till date are films you can watch over and over again. Why? Because they show you characters that are complete. You get to know them real well. Here most of them are kept mysterious. While that sometimes can be intriguing here it is the opposite. So certainly one to watch but you have been warned.